This is a special board of myrtle that came from another customer. It came to me as partial trade for her instrument and I was happy to be able to get another instrument or two from it. 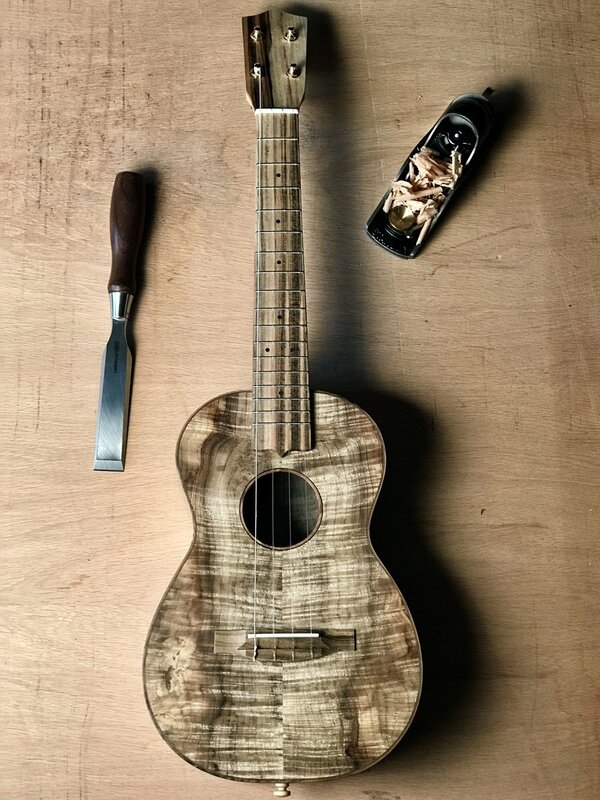 She bought it for a furniture project that never happened, now it gets to be an ukulele! When the top is this interesting, picking the other parts can be pretty challenging. In this case, I played it safe and left everything else straight grain and stripey. The fir neck comes from my friend’s property on Vashon Island, complete with bug holes. The pistachio comes from California Orchards.